Read about one team's journey from a messy monolith to continuous integration, reducing issues and increasing productivity. We have all heard the excuses: management won’t go for it; the code is a jumbled mess; it's too large; too many regulatory hurdles. The trek to Continuous Integration/Continuous Deployment has stumbled for many enterprises, but many more each day have made it. Michiel Rook spoke at the 2016 All Day DevOps conference about his road to Continuous Deployment. He used an example he worked on for De Persgroep Employment Solutions, which operates a number of job portals. 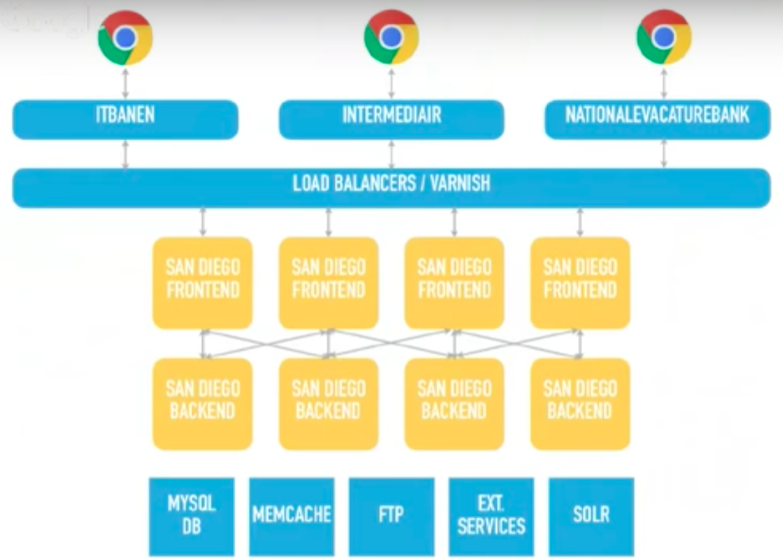 This specific project was called the San Diego Project, but it was known internally as the Big Ball of Mud because the code base was such a mess. The image below diagrams the legacy system - the beginning of the road. The project was burdened with infrequent, manual releases, fragile tests, frequent outages and issues, a frustrated team of about 16 people, and low-confidence modifying existing code. Sound familiar? Yep, you were not alone. 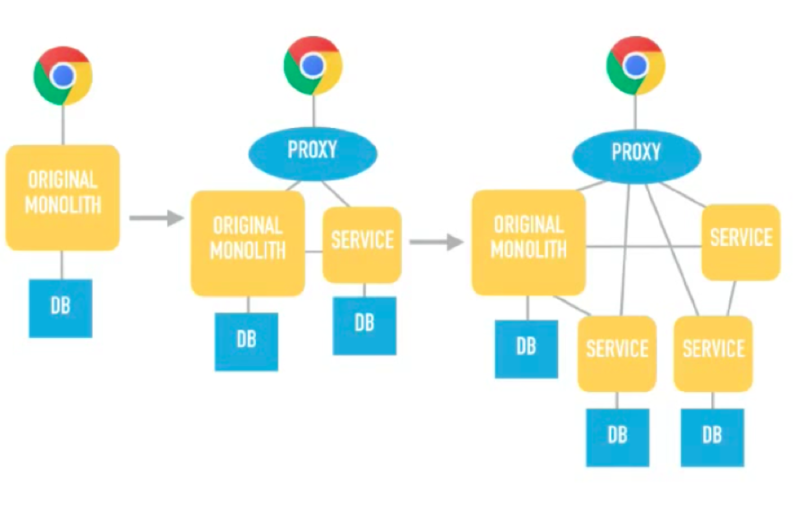 Their approach was to take the monolith, build a proxy and add a service, and then keep adding services until the monolith could be thrown away. Set one service per domain object (job, jobseeker, etc.). Establish services behind load balancers. This all culminates to continuously deliver value, something Michiel calls "Continuous Everything." 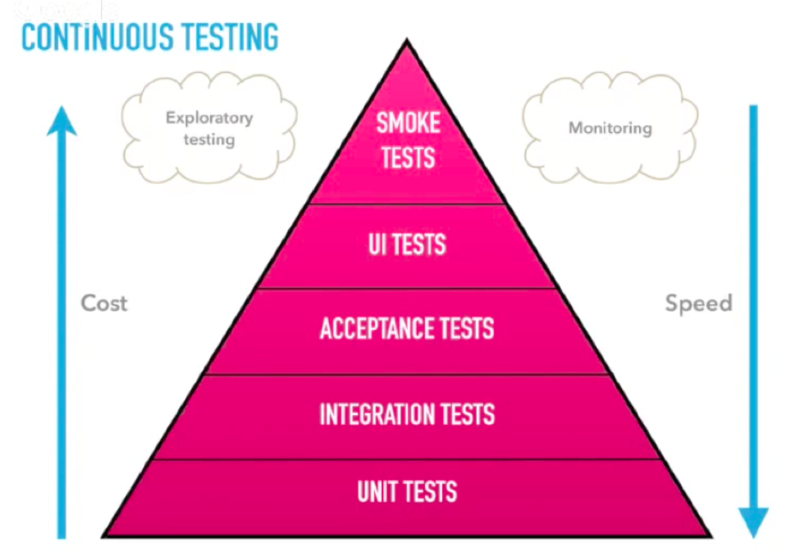 It starts with Continuous Integration: developing and building/testing, resulting in an artifact each time. 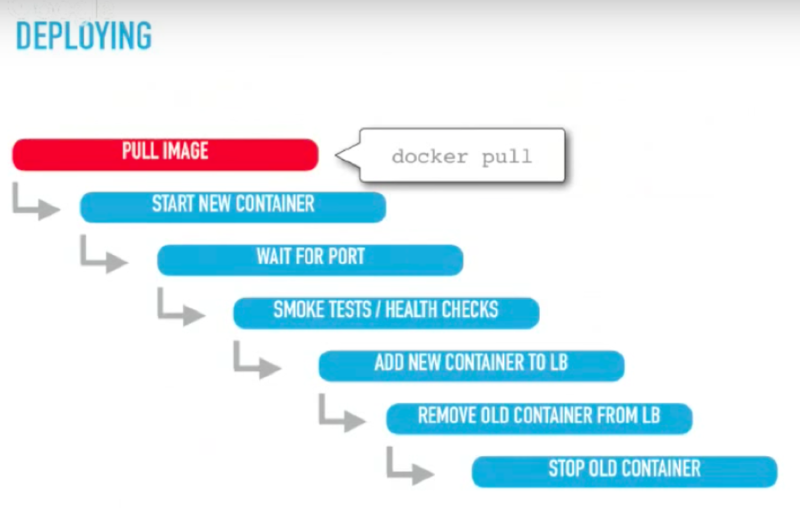 Then, Continuous Delivery: building/testing-->acceptance-->production; going into production is a manual process, but the code is always deployable. Finally, you reach Continuous Deployment when the whole process is automated. Use pair programmingfor code review. This will require discipline, but all development needs to be paired. Mix and match experienced developers. Feature Toggles and A/B Tests. Determine which version people can/can't see and facilitate A/B testing. But, be sure to keep the number in check. Feedback - DevOps is built on the importance of feedback. One example Michiel had on this project was a large, red flashing light that signaled a build failure. Whenever it went off, that became the number one thing people started working on. 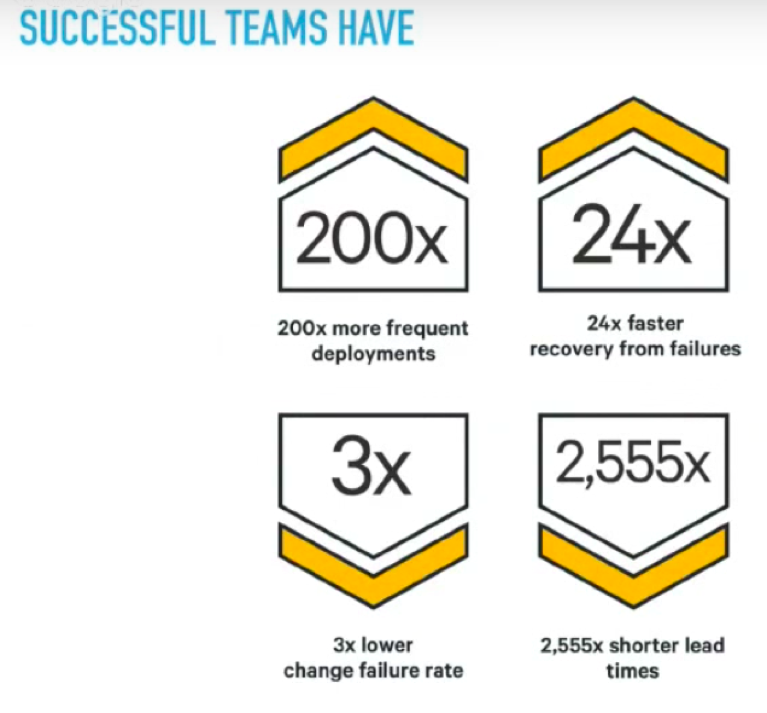 If you missed any of the other 30-minute long presentations from 2016 All Day DevOps, they are easy to find and available free-of-charge here. Finally, be sure to register you and the rest of your team for the 2017 All Day DevOps conference here. This year’s event will offer 96 practitioner-led sessions (no vendor pitches allowed). It’s all free and online on October 24th.